What makes the analysis of the "sugar curve"
Diagnosis at an early stage – based on timely treatment and recovery or maintenance of normal health status on the identified stage of the disease. 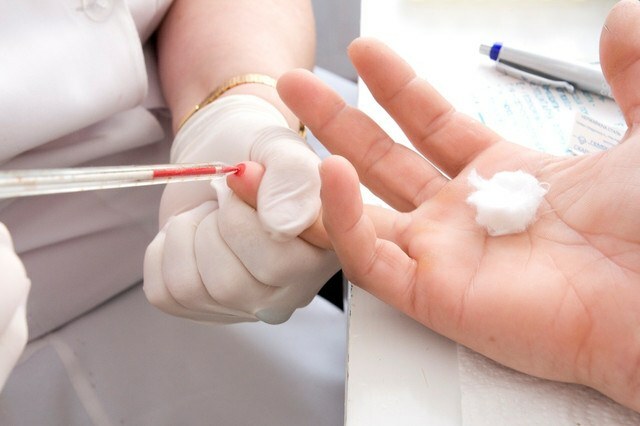 Is required annually to take a blood test to determine the level of glucose to prevent the development of diabetes. The concept of the "sugar curve"
In a healthy person after administration of large amounts of sugar gradually increases the concentration of glucose in the blood, which reaches its maximum value after 60 min In response to the increase in the level of glucose in the blood cells of the islets of Langerhans of the pancreas secreted insulin, which reduces sugar concentration in the body. After 120 minutes after sugar load of glucose in the blood exceeds the normal value. This is based on glucose tolerance test ("a sugar curve", GTT) is a laboratory method of research used in endocrinology in the diagnosis of disorders of glucose tolerance (prediabetes) and diabetes. The essence of the test is to measure the blood sugar level of the patient on an empty stomach, the sugar load and conducting repeated studies of blood sugar in 2 hours. Indications for analysis, the "sugar curve"
Indications for the analysis of the "sugar curve" are available in the patient history, risk factors, contributing to the development of diabetes: the birth of a large baby, obesity, hypertension. In the presence of diabetes in close relatives increases the predisposition to this disease, so you should frequently monitor the level of blood sugar. When the content of fasting glucose between 5.7-6.9 mmol/l glucose tolerance test should be performed. Rules of delivery of the analysis of the "sugar curve"
The analysis of the "sugar curve" looks only in the direction of a physician in a clinical diagnostic laboratory. The blood gives up fasting in the morning from the finger. Prior to conducting glucose tolerance test, you must follow a diet that excludes the consumption of fatty foods, fried foods, alcoholic beverages. For 12-14 hours before the test should not eat any food. On the day of blood sampling prohibited eating any sugary drinks, Smoking. It is permissible to drink a glass of water. Should eliminate physical exertion, emotional excitement, as this can lead to a physiological increase in blood sugar levels. Immediately prior to analysis costs to sit and relax. The results of the study are judged on the state of carbohydrate metabolism in the human body. If fasting glucose was 7.0 or more mmol/l, and in two hours – and more than 11,1 mmol/l, this indicates the presence of serious problems with the pancreas, which led to the development of diabetes. The concentration of fasting blood sugar of less than 7.0 mmol/l and two hours in the range of 8-11. 0 mmol/l suggests impaired glucose tolerance (prediabetes condition). During the evaluation, it is necessary to consider the factors that can lead to distortion of results: the presence of various infectious diseases at the time of the study, problems with the gastrointestinal tract, caffeine, diuretics tiazidove series, psychotropic drugs or antidepressants.